Titanic author Daniel Allan Butler is challenging the Hartley violin authenticated by auctioneer Henry Aldridge & Son. The violin was purportedly used by Hartley aboard Titanic and was found strapped on his body. However the records indicate no such violin was found attached to his body. A written note by his fiancee seems to confirm it was given to her by Nova Scotia officials. Now either they scrubbed the violin entry (a possibility) or the violin was not found on his person. Aldridge claims that experts have confirmed the violin was stained from exposure to water, that its wood and construction conform to the time period, and that the metal inscription on the back is authentic. 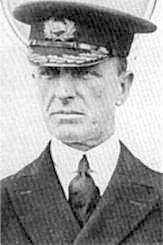 Butler consulted his own experts who examined the pictures and gave their opinions as to whether a violin would stand ten days in cold North Atlantic waters. All three were unanimous in affirming that, given the sensitive nature of the finish used on violins, ANY exposure to sea water, even less than total immersion, would have left visible damage to the finish, in the form of a gray “fogging” of the finish where water actually came into contact with the instrument. All three were equally firm in asserting that ten days exposure to the general dampness of the Atlantic Ocean, even aside from any immersion the violin may have experienced, would have resulted in the glue holding the instrument together failing as it returned to its liquid state. 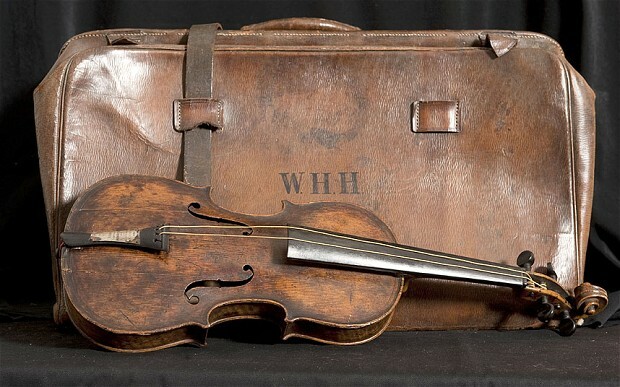 All three were categorical in stating that the violin as presented and depicted in the photographs supplied by Henry Aldridge & Son could NOT be an instrument that survived the events which the alleged provenance of the so-called “Hartley violin” is said to have survived. Butler’s violin consultants were Timothy Jansma, Steve Reiley, and Ken Amundson (with their websites noted for reference) and all have many years in the violin business. Amundson adds further that a violin with water damage needs significant repair work and that it would likely be found in large parts rather than as one piece. He also believes the violin at issue was likely a gift and never used by Hartley. The reason? The metal plate diminishes the sound and he would use a high end violin while performing. 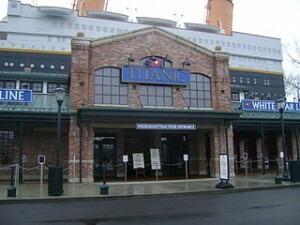 So the violin was likely Hartley’s but not the one used on Titanic. Butler raises some important points about the violin but the caution is that none of them have examined it. However the point about the possible effects of water on the violin indicates it would not survive intact or possibly at all. What remains to be seen is whether Aldridge will disclose the names of experts who examined the violin. So far, that has not happened. And outside experts will be needed to take a look at the violin and the supporting evidence to see if it matches up. To my mind, this now goes into the unproven category. Not saying it is a fraud but want more definitive evidence of its authenticity before I place in the authentic category. Other Titanic experts are likely thinking the same as well.